With the festive season fast approaching we’ve all got our mind on one thing, parties. Or is that just me? The first thing I think of when planning a party is an easy signature cocktail you can serve your guests on arrival. A cocktail so simple but so beautifully tasty it’ll have everyone reaching for their Instagram accounts, #thirstythursday anyone? 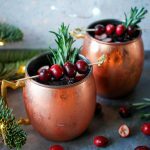 Well, this cranberry moscow mule is total instagram gold. What a babe in a copper cup! When Fentimans got in touch with me asking if I’d like to try out some of their delicious mixers my mind instanly went wild with festive cocktail ideas. So much so I couldn’t narrow it down to just one, I narrowed it down to three instead. You’re welcome. Look out for the other two drinks coming later in the week. For this Christmassy version of a Moscow Mule I used Fentimans Ginger Beer with Muddled Lime mixed with cranberry juice. Check below for the full recipe. First up is one of my absolute favourite cocktails to sip on a chilly night. 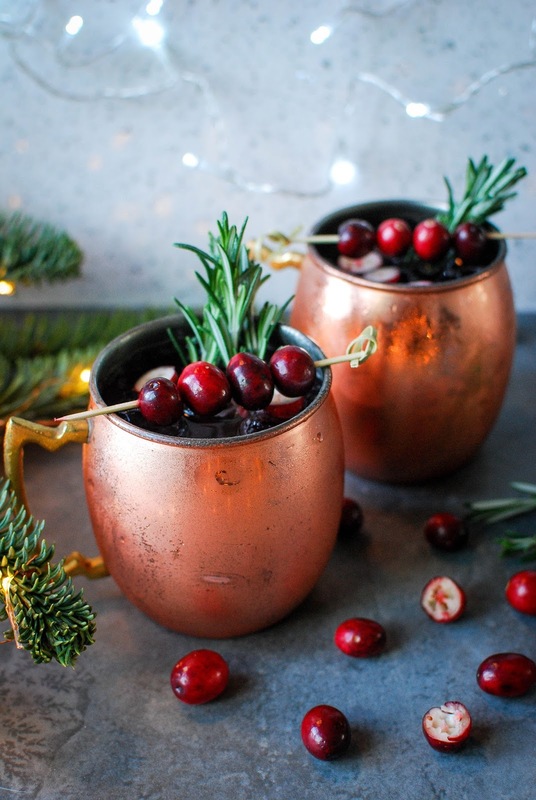 There’s something so charming about a Moscow Mule, I mean who wouldn’t want to sip on a drink served in a copper mug? I bought mine in TK Maxx but you can get some pretty hammered versions over here. The first thing I think of when planning a party is an easy signature cocktail you can serve your guests on arrival. A cocktail so simple but so beautifully tasty it’ll have everyone reaching for their Instagram accounts, #thirstythursday anyone? 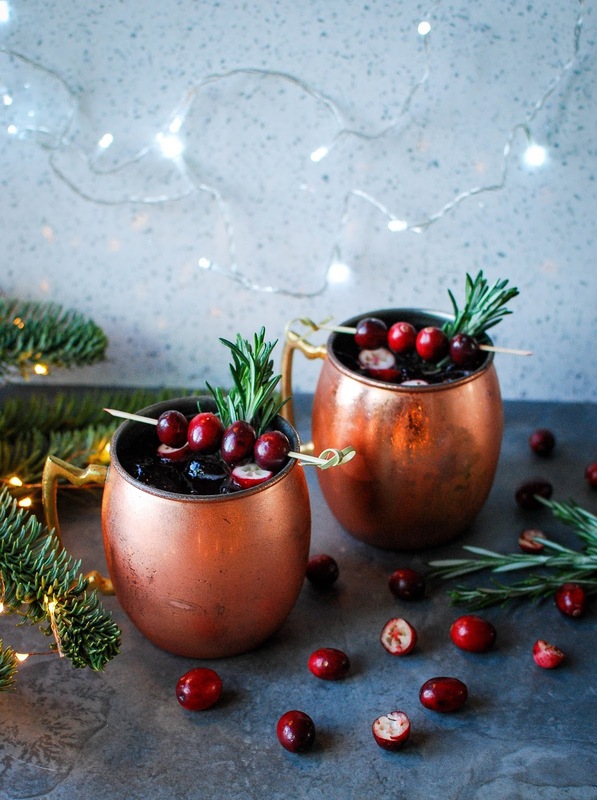 Fill two copper mugs with ice, pour over the vodka then squeeze half a lime into each mug. Pour in the ginger beer and top up with cranberry juice, stir together. 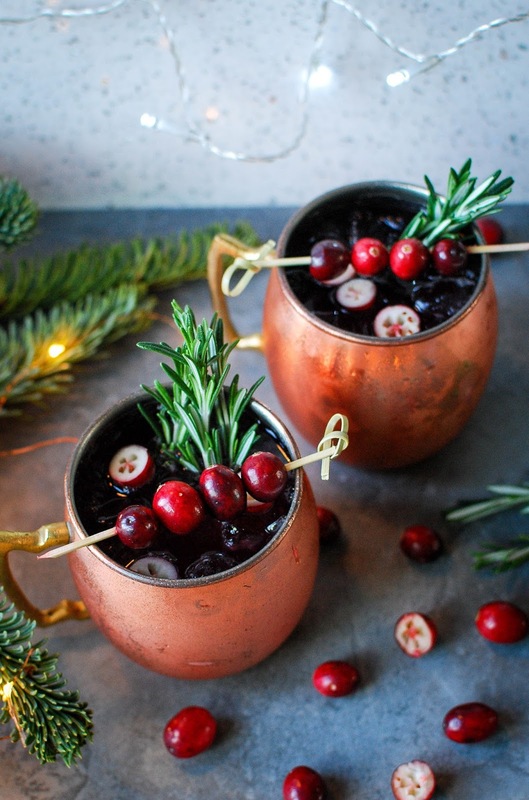 Garnish with a handful of cranberries and a sprig of rosemary.